The interface of the Spectrum™ trailer brake controller is simple but powerful. It is a single rotary knob with a push-button in the center that allows the driver to adjust brake power output. It is equipped with ten tri-color LEDs (red, blue and green) to show the automated power output of the control. There is no need for a separate display or additional controls, keeping the dash of your vehicle clean, professional and uncluttered. Behind the Spectrum™ brake controller is a powerful main module with a triple-axis motion-sensing accelerometer. This advanced circuit is able to detect the inertia of the vehicle and trailer on all axes of three-dimensional space. Whatever your speed and whatever grade you are travelling on — up or down a hill — the Spectrum™ brake control produces the exact amount of power needed for a smooth, safe stop every time. The main module can be mounted anywhere, at any orientation with the included mounting brackets or adhesive patch. The Spectrum™ electric brake controller is a fully compatible unit, able to operate up to eight trailer brakes at a time. It can be used on vehicles with ABS brakes and cruise control, and it works with low-voltage and PWM systems. Like every CURT trailer brake controller, the Spectrum™ installs in ten minutes or less, using a quick plug harness. These wiring harnesses are vehicle-specific and plug into any CURT brake control for a custom-fit installation in the vehicle. The Spectrum™ also has automatic leveling and calibration features to simplify the setup process. The new Spectrum™ brake control #51170 is comprised of a dynamic user interface and a separate main module. The interface is a simple rotary knob with an integrated push-button and ten tri-color LEDs. It mounts on the dash of the vehicle for a clean, unobtrusive, OE look. 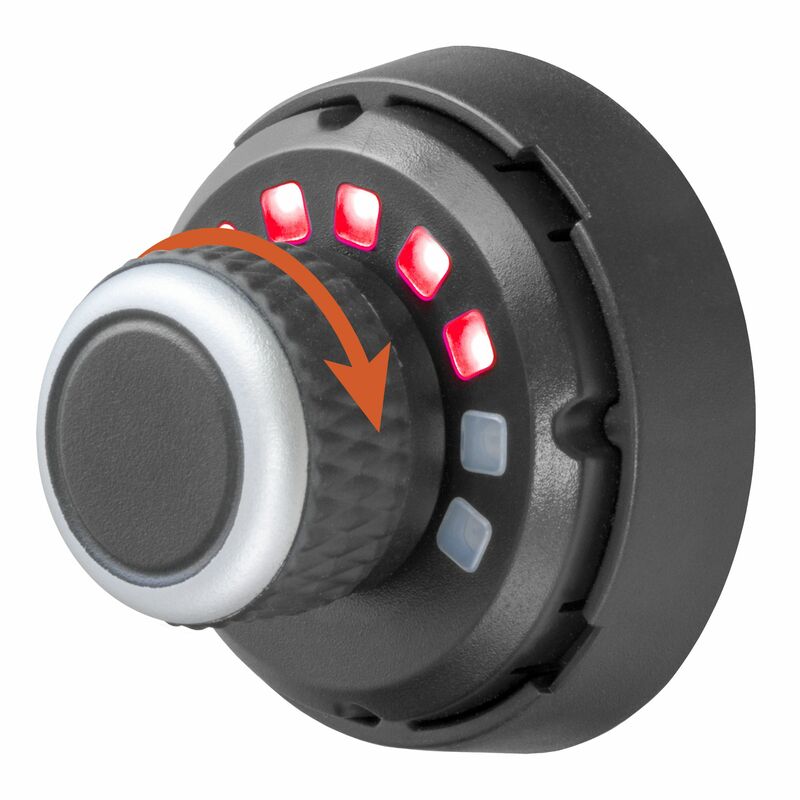 This single knob allows the driver to control and monitor all trailer brake activity. No other controls or displays are needed. The separate main module of the Spectrum™ mounts behind the dash, out of sight. Check out the youtube install video here!